In 1919 brothers Frank and George Regas founded a small restaurant with an 18 stool counter, six booths and six tables. As Knoxville grew, the restaurant grew and became a special occasion destination. 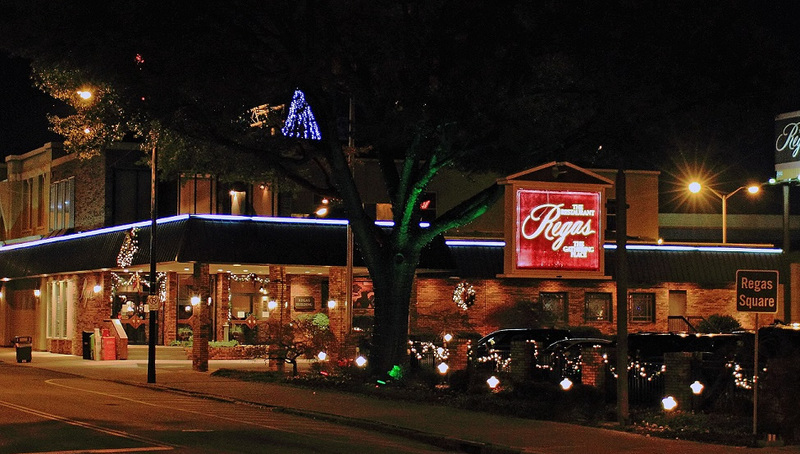 In operation 95 years, Regas Restaurant became a Knoxville icon and has been honored as the most award-winning restaurant in Knoxville’s history. Its honors extend nationally. Regas is proud to be one of only 38 restaurants in America chosen to prepare and serve food at the 50th Presidential Inauguration. Based on our experience, excellence is achieved by using only fresh foods and ingredients, by creating special recipes, and by using seasoning that brings out the full natural flavor of food. We are pleased to share with you our own blend of spices, which we call “Regas Au Naturall Pure Seasoning.” We suggest using Regas Seasoning as a marinade or applying after cooking to taste. It brings out the full flavor of steaks, hamburger, roast, poultry, seafood, sauces, gravies, dressings, vegetables, and salads. Please use and enjoy Regas Seasoning and see how it immensely enhances the flavor of your food. We hope it will bring you the same praise that it has brought us. Let us know of your of your success.